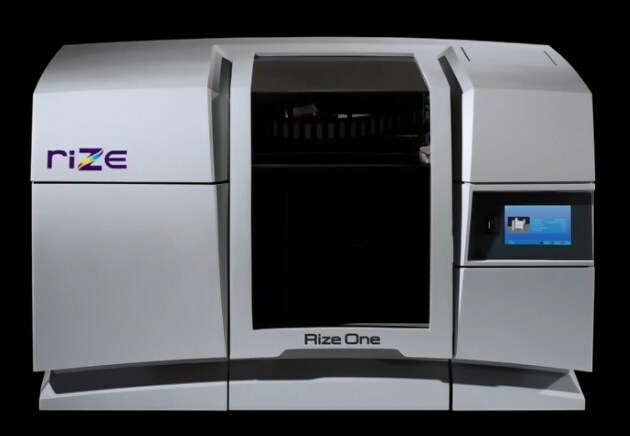 RIZE Inc., the Boston, USA-based, manufacturer of unique extrusion-material jetting hybrid 3D printing systems, and PSMI, a global provider of metal removal solutions and engineering expertise for the world’s largest manufacturers, are partnering to offer Azoth, a new business model for providing an unprecedented additive manufacturing solution for the industrial manufacturing market. Additive manufacturing is demonstrating to be a disruptive force in manufacturing and transforming products and the supply chain. Today, tooling applications comprise many of the key application areas for additive manufacturing in this market. With the formation of Azoth, PSMI demonstrates their vision to drive a digital transformation for their customers in the area of prototype and MRO products. Together, PSMI and Azoth bring their industrial customers an unparalleled subtractive and additive manufacturing solution. For the first time, Azoth, with support from RIZE, will create and operate the Additive Indirect Supplies Crib to provide manufacturers with custom prototype tooling, gaging, fixturing and more on-site at dramatically reduced lead times and cost, increasing their customers’ competitive advantage. Cost reductions of 50X and lead time reductions of 30X are expected to be feasible using RIZE’s additive manufacturing technology vs. subtractive methods. RIZE Authorized Reseller, Dynamic Detroit, a leader in subtractive machine tools and AM technology serving the USA Midwest, will provide sales and services support to Azoth. ← Print My Part | Competition Time. Get Your Idea Designed & 3D Printed!